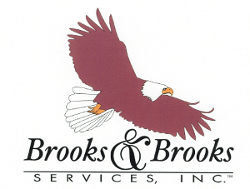 HVAC System, Facility Engineers | Brooks & Brooks Services, Inc.
L. Randolph Brooks established Brooks & Brooks in 1991. Mr. Brooks’ goal was to establish a Facilities Service company that would give personalized dependable service of the highest quality at competitive prices and develop our greatest resource -- our employees -- to their fullest potential. Brooks & Brooks Services is a resourceful team that delivers results our customers require to improve performance and accomplish the mission for greater operational success. Through our approach we provide our customers world-class analysis, service and insight to solve problems and consistently meet the demand with measured outcomes. Brooks & Brooks provides a diversified portfolio of services to federal, state and local government and to various commercial sectors. We provide facilities management and maintenance services, managed engineering services, professional consulting services as well as water treatment services. Since its inception, Brooks & Brooks has experienced steady measurable growth. Brooks & Brooks employs management, administrative and service personnel in seven states and the district of Columbia . 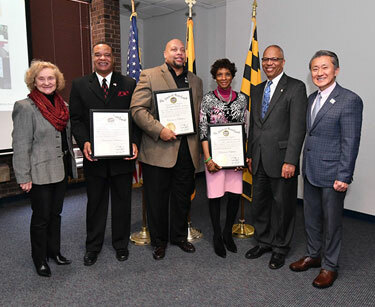 Brooks & Brooks Services is an 8(a) Mentor, HUBZone, DMBE (Virginia), SWAM (Virginia), LDBE (District of Columbia), MDOT-MBE and MWAA-LDBE certified. As a small-business corporation located in Washington, DC metropolitan area we are fully qualified and poised to excel with the aid of programs like SBA Set-Asides and Mentoring. The ability of our company to meet the needs of customers will be evidenced by the use of an experienced, qualified project manager and a fully trained, efficient staff of employees. Founder and President of Brooks & Brooks Services, Inc. Responsible for the overall growth and development of the corporation, specifically in the areas of Marketing and developing the corporate direction for Government, Commercial and Industrial applications. In order to run an organization, you must be a Visionary: This is the goal and must never be forgotten. Dr. Brooks has been in the facilities industry since 1984 in the areas of Chemical Engineering, Industrial Waste Water Treatment and Custodial Services. He has extensive Training and background in Hazmat, Water Chemistry and the efficient operations of a facility from a production standpoint. He directs all efforts to secure a consistent pattern of growth and to ensure the longevity of the corporation. Dr. Brooks attended Virginia Commonwealth University where he received a B.S. in Business Administration. Additionally, he completed an Executive Management Program at Massachusetts Institute of Technology (MIT). Dr. Brooks has an extensive knowledge from a technological standpoint from his early years at AT&T, where he served in a variety of assignments over a 13-year period, securing the First Energy Management System in the United States for AT&T at the Department of Energy. He has a Master’s Degree in Chemical Engineering and Doctorates in Philosophy as well as Theology. Dr. Brooks also serves God and Mankind through his involvement in Church, Christian Education, Outreach Organizations and Community Service. He believes that helping someone is helping everyone. He has been the Chairman of the Board of Directors for the Alzheimer's Family Center in Broward County, FL and now serves as Executive Director of his foundation BOTG Productions, Inc., a non-profit organization that serves Military personnel with PTSD as well as At-Risk Teens to assist them in life skills. Mr. Walker has worked in the Government Facilities Market since 1992 where he started in the Accounting Department with JWK International. This allowed him to gain a wealth of knowledge as to how contracts worked from the government/contractor viewpoint. He then moved rapidly throughout the organization as Supervisor and ultimately, Comptroller, where he served until 1999. Mr. Walker joined Brooks & Brooks Services, Inc. as Senior Vice President where he continues to exemplify the qualities of leadership, vision, and overall sense of entrepreneurial outlook. Mr. Walker is a product of the Howard University School of Business, where he graduated in 1991. He has been an active member of his community, church and Alma Mata. Mr. Brooks has over 15 years of management consulting experience focusing primarily on leading large, complex, performance-based acquisition efforts on behalf of Federal civilian and Defense agencies. His central expertise is in Performance-based Acquisition and Performance Management; his additional areas of expertise and experience include quality management, contract management and administration, technology strategy, Federal financial management, process re-engineering, and project/program management in Federal and commercial markets. He has lead complex programs on behalf of public and private sector clients. He currently serves as the General Manager responsible for Brooks & Brooks' various portfolios. He is responsible for all capture and proposal operations processes and activities including business development, management and execution. This includes implementing processes that support the development and maintenance of a mature, well-qualified pipeline, and providing the infrastructure to capitalize on that pipeline. Prior to Brooks & Brooks, Mr. Brooks served in positions of increasing responsibility at companies such as Engility Corporation, Analytic Services (ANSER) and ARServices Limited. Our company, Brooks & Brooks, was founded in 1991 by L. Randolph Brooks, Ph.D. Our track record of customer service and successes since the beginning has kept us in business to this day. Our total management facility maintenance firm handles the maintenance needs of government facilities of all kinds across the nation. The wonderful men and women who are employed by our company are what set our company apart from the rest. We would not be successful if we did not hire and keep good employees. At the end of the year we provide a survey to our clients. These surveys show we have a 90% customer satisfaction rate. Our company is actively involved in philanthropic events and makes donations to scholarships and other community organizations. Our company graduated from the Small Business Administration's 8(a) Business Development Program. We are certified by a number of organizations, including the Metropolitan Washington Airports Authority (MWAA), the Small, Women-Owned, and Minority-Owned Business Association (SWAM), and the Maryland Department of Transportation (M-DOT).